In his Meditations on First Philosophy Descartes sets forth two proofs for God's existence. One of these is founded upon the possibility of thinking the "idea of a being that is supremely perfect and infinite," and suggests that "of all the ideas that are in me, the idea that I have of God is the most true, the most clear and distinct." 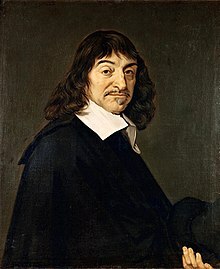 Descartes considered himself to be a devout Catholic, and one of the purposes of the Meditations was to defend the Catholic faith. 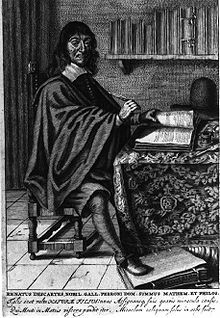 His attempt to ground theological beliefs on reason encountered intense opposition in his time, however: Pascal regarded Descartes' views as rationalist and mechanist, and accused him of deism: "I cannot forgive Descartes; in all his philosophy, Descartes did his best to dispense with God. But Descartes could not avoid prodding God to set the world in motion with a snap of his lordly fingers; after that, he had no more use for God," while a powerful contemporary, Martin Schoock, accused him of atheist beliefs, though Descartes had provided an explicit critique of atheism in his Meditations. The Catholic Church prohibited his books in 1663. [check quotation syntax] Descartes also wrote a response to external world skepticism. Through this method of scepticism, he does not doubt for the sake of doubting but to achieve concrete and reliable information. In other words, certainty. He argues that sensory perceptions come to him involuntarily, and are not willed by him. They are external to his senses, and according to Descartes, this is evidence of the existence of something outside of his mind, and thus, an external world. Descartes goes on to show that the things in the external world are material by arguing that God would not deceive him as to the ideas that are being transmitted, and that God has given him the "propensity" to believe that such ideas are caused by material things. Descartes also believes a substance is something that does not need any assistance to function or exist. Descartes further explains how only God can be a true “substance”. But minds are substances, meaning they need only God for it to function. The mind is a thinking substance. The means for a thinking substance stem from ideas.